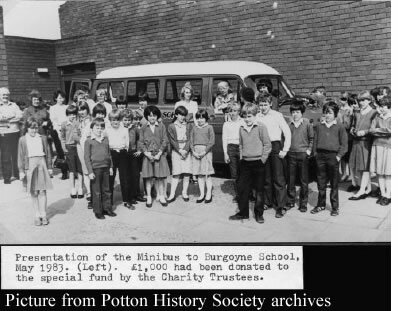 Potton Consolidated Charity are delighted to have been involved in many local projects over the years and not only do we help individuals within Potton but we also help organisations who are based within Potton as this will have a positive affect on the people living within Potton. Her Majesty Queen Elizabeth’s 90th Birthday was celebrated by each child who attended one the Potton pre, lower or middle Schools each received a commemorative coin in a presentation case to mark the occasion. Annual grants have been given to each of the local schools in order for the to be able to help the students from Potton in their education including - Potton Lower, Burgoyne, Sandy Upper and Stratton Upper. And many, many more whom have all been successful in their application to the Charity and in return they given greater choice, better facilities and made life in Potton even more amazing than it already is. If you would like to add your organisations name to this list and if you have a project whereby you feel that PCC can help you and in turn the people of Potton, then please make your application in writing to the clerk via the contact us page.